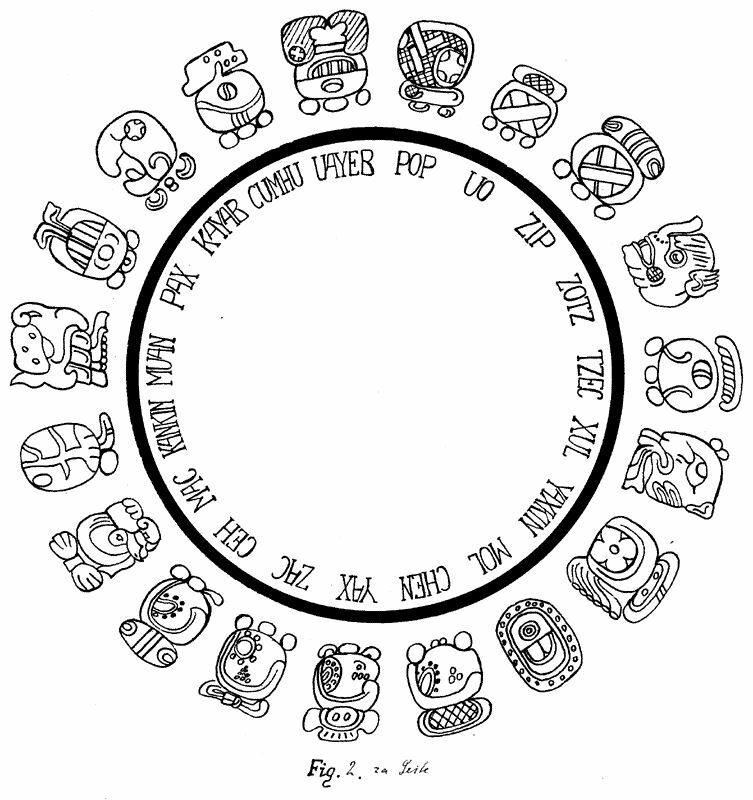 The calendar Imagery among the Maya is so prominent that some experts believe that they had an obsessive fascination with time rivaling that of present –day humans. They used two calendar systems, the Long Count Calendar and The Calendar round. The Long Count was perfected in Classical times that are AD 250-900, and its dates record the number of days that have elapsed since a mythological starting point corresponding to 3114 BC in our calendar. 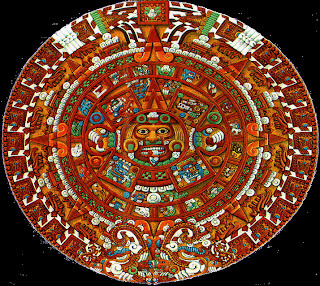 In fact the Maya believed that the world had been created and destroyed at least three times, the last creations having begun on August 13, 3114 BC, and the next being due on December 24, 2011. Long count dates are precise counts of elapsed time based on the 360 -day year, which they called a tun, divided into 18 months of 20-day unials. 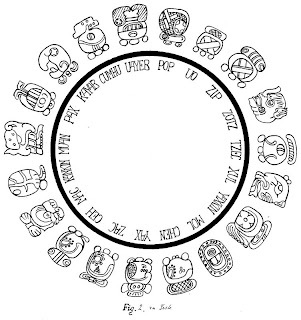 The Mayan numbering system is based on 20, not ten, so a year was counted in groups of 20 tuns, termed a katun, and 20 katuns termed a baktun. A Long Count date is made up of five numbers. The first figure records the baktun (400- year span). The second is the katun (20-year span), the third a tun (360-day span, the fourth a uinal (20- day span0 and the last a kin, a single day. The oldest recorded date is July 6, AD292, from Stela 29 at Tikal in northern Guatemala. Akbak – Day three etc. Supplementing this is the Haab (also called the Vague Year), a year of 365 days made up of 182 day months and then a five day period at the end of the year. It takes 18950 days, or 52 365 day years, for a combination of these two methods to repeat itself. 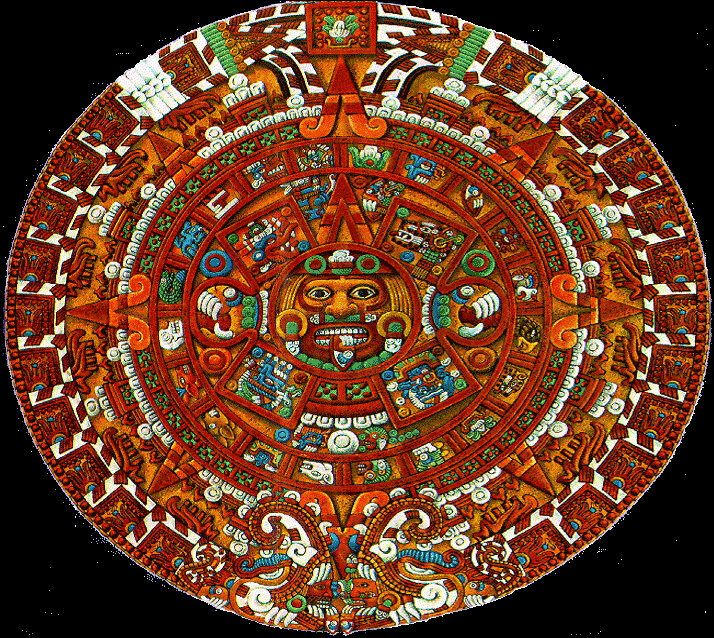 In my point of view the mayan calendar calculation are 12.19.17.19.19 is the last date in the 12th bhaktun, it is December 20, 2012, the very last date in the 12th bhaktun, so shouldn't the actual end be 13.19.17.19.19 since thats the actual end of the 13th bhaktun and the beginning of a new cycle? Thanks for the details provided, as for the convenience ( easy to understand ) I have simplified my post. If you are interested to know more I will publish a detailed one soon. Thanks for the pain taken. 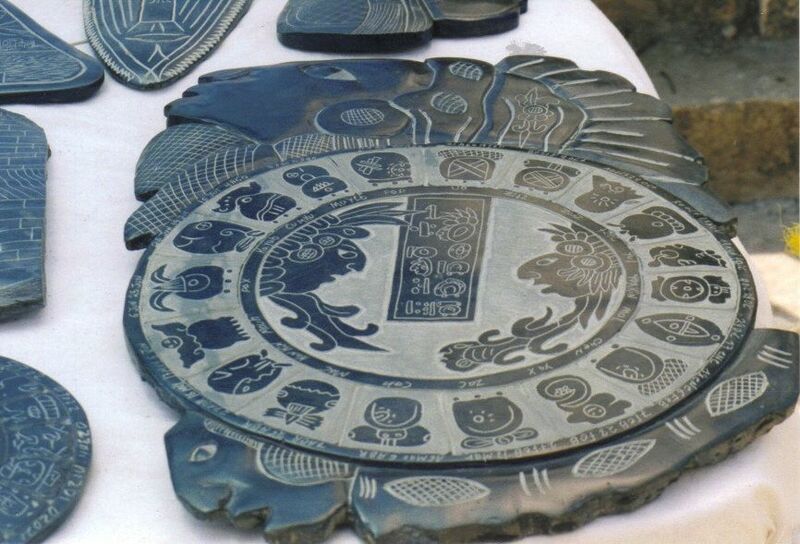 The oldest record date is 8.12.14.8.15 or July 6, AD292 from Stela 29 at Tikal in Northern Guatemala.